In the wonderful world of Grand Seiko, if it’s not using a quartz crystal – and, yes, that includes the Spring Drive – then inside is a Caliber 9S movement. Introduced in 1998, the Caliber 9S is the staple of all mechanical Grand Seikos and forms the base for everything from humble three-handers to hi-beats and GMTs. 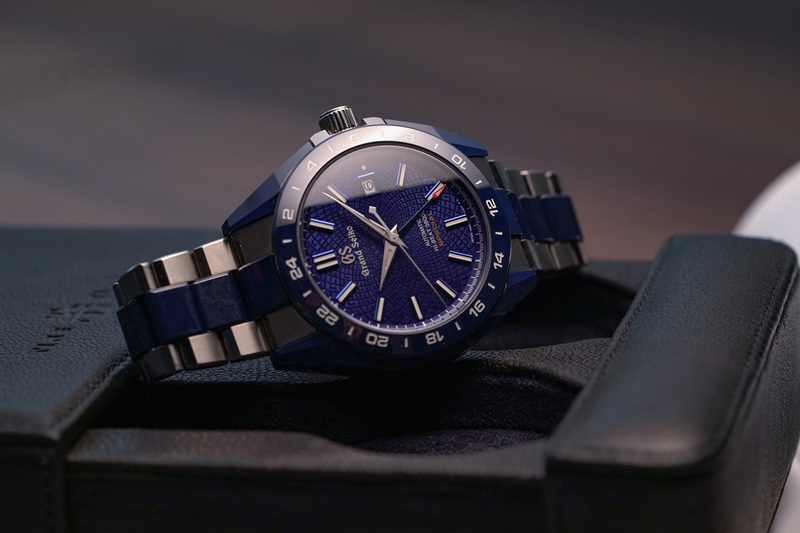 This year, Grand Seiko are celebrating the 20th birthday of the 9S with – in addition to quite a few other LEs – the release of the Grand Seiko Blue Ceramic Hi-Beat GMT “Special” Limited Edition. Inside is a very “special” version of the Caliber 9S86 movement. Adjusted to six positions and allowing for changes in temperature, the movement exceeds the already stringent accuracy tolerances set by Grand Seiko, and is accurate to within +4 to -2 seconds per day, while it still features the added functionality of a GMT hand, and runs at 10 beats per second for up to 55 hours. This particular version of the 9S86 is now kept running by an oscillating weight made from titanium and tungsten. Visible through a sapphire crystal case back, the titanium sections of the weight are treated with an anodic oxidation process, which gives it a vivid blue colour by artificially generating an oxide film through electrolysis, with the final shade achieved by varying the thickness of the film. 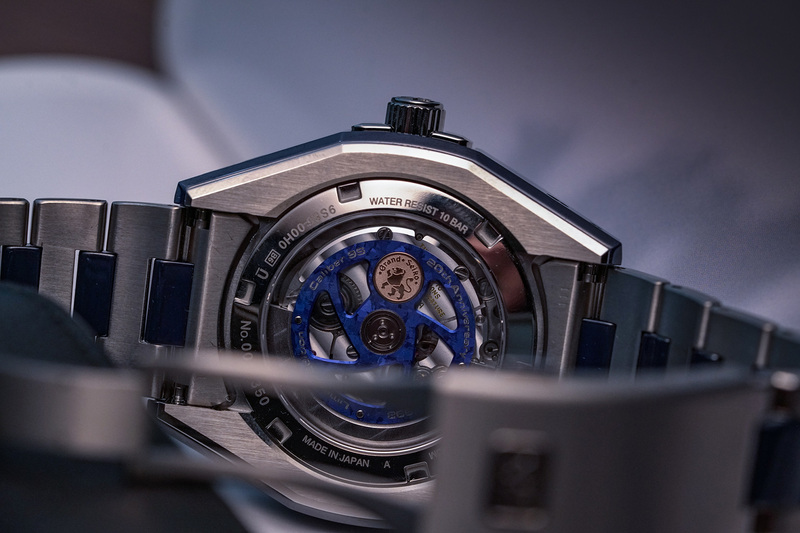 The case is made of two separate lightweight materials, measuring 46.4mm wide and 14.6mm thick, while maintaining a water resistance of 100 metres. The inner case and outer bracelet links are titanium, while the outer case and inner links are made from blue zirconia ceramic – which is seven times harder than steel and virtually scratch-proof. Finally, a rich blue dial features a spiralling mosaic with a motif that is made up of alternating GS and 9S signatures. As you’d expect from Grand Seiko, this limited edition is finished to the nines. And there’s plenty to admire as you explore the varying textures and surfaces, inside and out. Strap it on though, and there’s no hiding its size. But then again, with so much to showcase, I do think it’s a case of bigger is better here. It also makes it that much easier to appreciate the case’s sharply finished lines and edges, which are remarkably smooth to the touch, with the kind of warmth that you can only get from titanium and ceramic. Grand Seiko was born from a desire to push the level of precision capable of a mechanical watch. And here they’ve taken it to the next level, combining it with hi-tech manufacturing techniques and case materials. So, if innovation and/or precision is your thing, then look no further. However, I can’t help but think that if the case was maybe 5 or 6mm smaller, there’d be no shortage of people I could suggest. Just pick it up. It may look big, but any heft is countered by the titanium and ceramic components of the case. 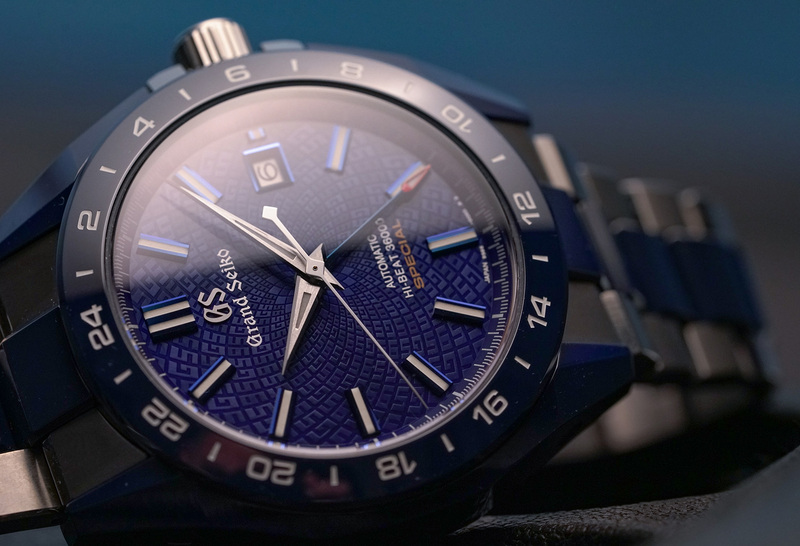 The Grand Seiko Blue Ceramic Hi-Beat GMT “Special” Limited Edition, limited to 350 pieces, $21,400.